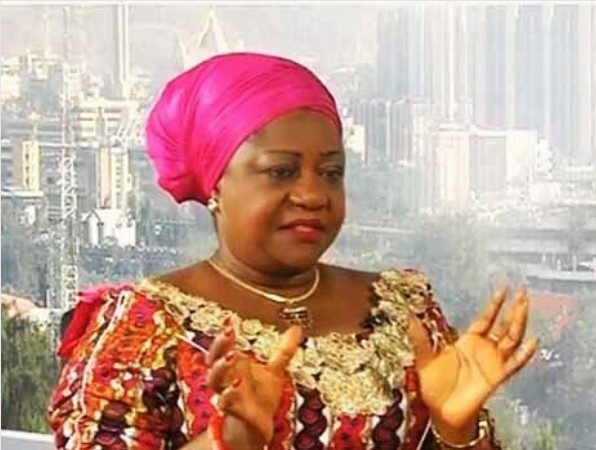 Personal Assistant to the President on Social Media, Lauretta Onochie, says President Muhammadu Buhari will defeat former Vice President, Atiku Abubakar in any part of the country when Nigerians go to poll. Mrs Onochie said this yesterday in Abuja during her appearance on the weekend edition of Channels Television’s political programme. Recall that Atiku announced his return to the Peoples Democratic Party (PDP) on Sunday via a live broadcast on his official Facebook account following his resignation from the APC last month. Speaking on the development, Onochie said: “He (Atiku) may have had that weight some years ago but over the years he’s been losing that weight and at the moment, I can tell you that even in his local government area in his native Adamawa, he can’t win any election. So where is the weight? “I think Alhaji Abubakar Atiku has lost touch with reality; I think he needs to check again. President Buhari is not competing with him at the moment, what he’s trying to do is to put President Buhari out of the good work he’s doing and to come to wallow in the mud with him. “President Buhari is very busy trying to repair the damage that PDP did for 16 years to this nation, he is busy with the job of governance and trying to ease the pains that Nigerians have been going through over the past 16 to 17 years. “The President also knows that the ban on politics has not been lifted; so, he is not going to come out to wallow in the mud of ‘he said, she said”, Onochie said. On whether Atiku’s exit from the APC has any effect on Buhari, she said: “The president is not perturbed at all, he is not moved in any way.